ZMA PLUS 1000mg x 180 vegan capsules of pure Product – Advanced Anabolic Mineral Support. Non Steroid, Magnesium Asparatate, Zinc, Vitamin B6. 100% clinically proven to increase Testosterone levels and strength for individuals involved in any intense weight and or exercise, bodybuilding training programs. 100% Pure ingredients. Suitable for vegans. ZMA PLUS 1000mg x 180 vegan capsules of pure Product – Advanced Anabolic Mineral Support. Non Steroid, Magnesium Asparatate, Zinc, Vitamin B6. 100% clinically proven to increase Testosterone levels and strength for individuals involved in any intense weight and or exercise, bodybuilding training programs. 100% Pure ingredients. 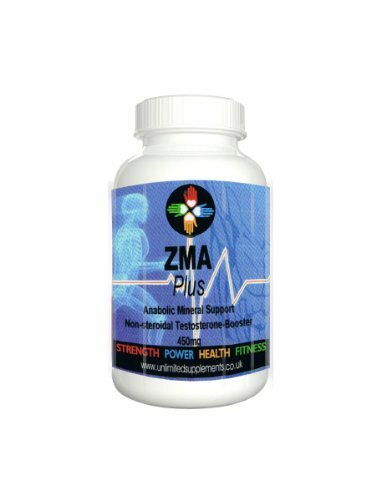 Suitable for vegans.. ZMA PLUS 180 caps 1000mg of pure Product – Advanced Anabolic, Mineral Support. Magnesium Aspartate, Zinc, Vitamin B6. Testosterone Booster, Suitable for Vegans.